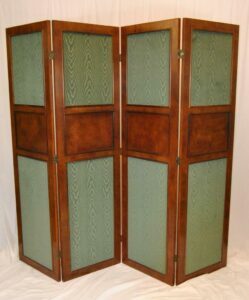 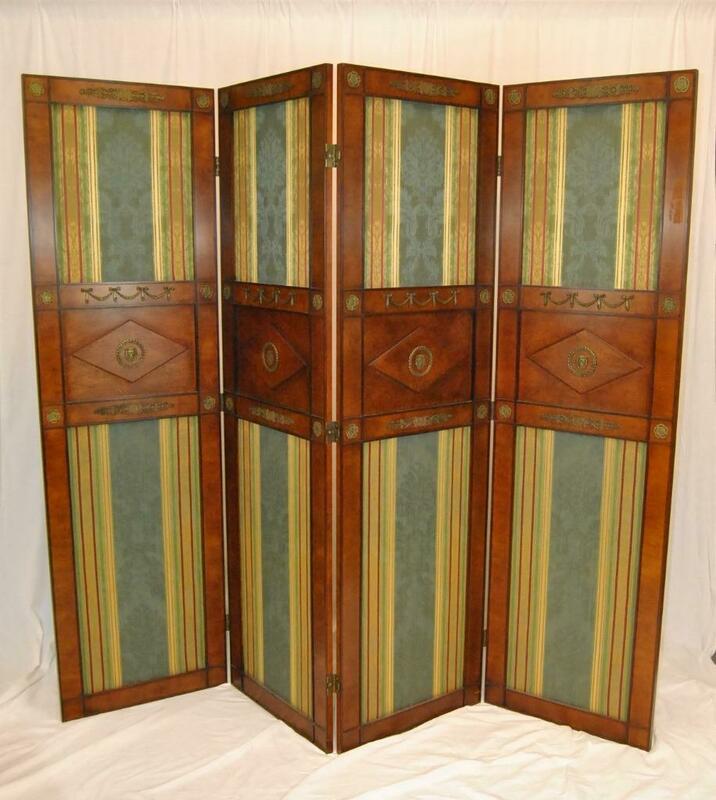 This is a beautiful regency style four panel screen designed by Mario Buatta for Widdicomb. 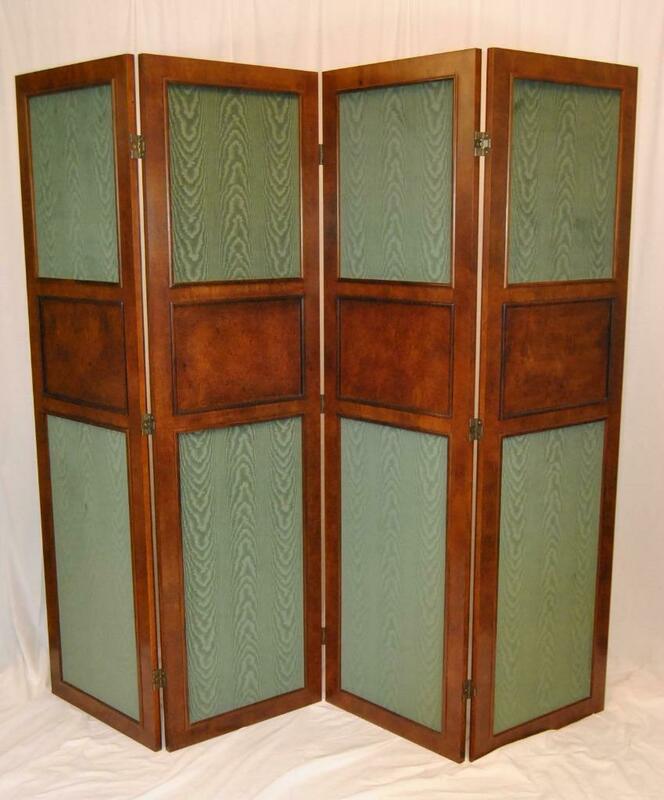 Each Panel is 22″ wide and 78″ tall and has burled wood with bronze mounts; 88″ wide in total. 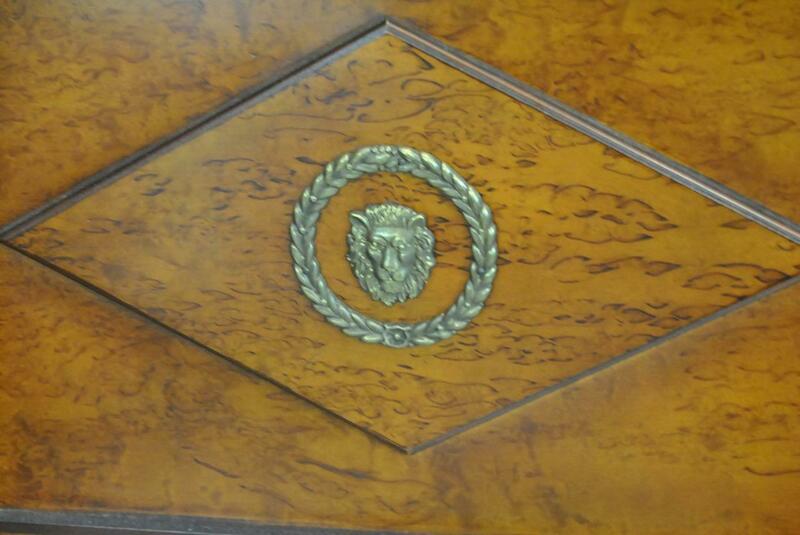 The center of each panel on the front is adorned with a lion head medallion. 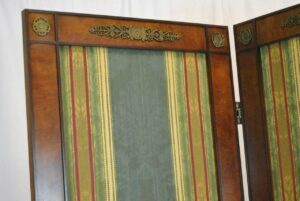 The fabric on the front is in a green, tan and rust stripe and the back is done in a green moire. 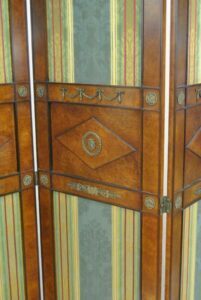 Very good condition with minimal wear as photoed. 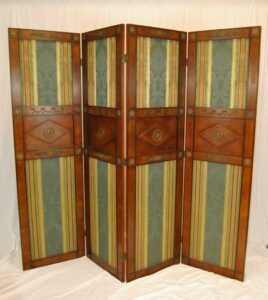 This is a beautiful regency style four panel screen designed by Mario Buatta for Widdicomb. 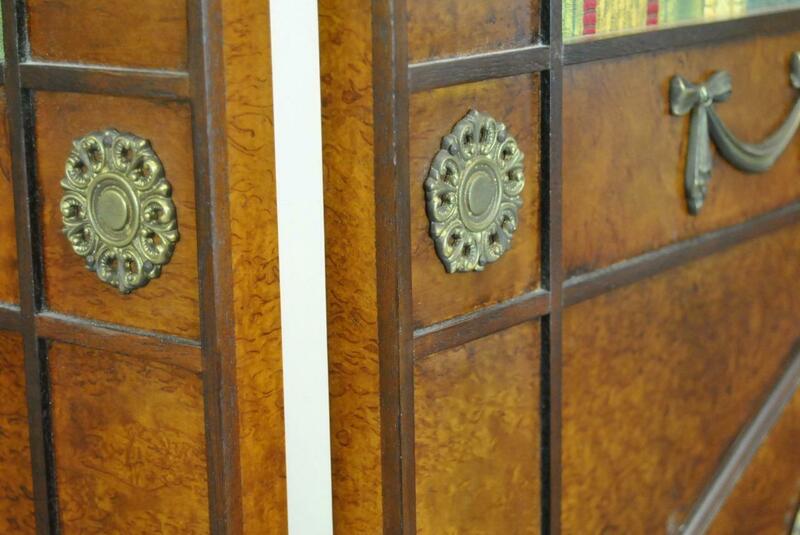 Each Panel is 22″ wide and 78″ tall and has burled wood with bronze mounts; 88″ wide in total. 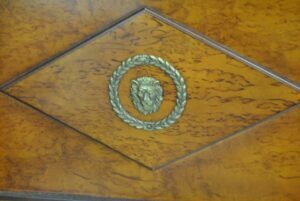 The center of each panel on the front is adorned with a lion head medallion. The fabric on the front is in a green, tan and rust stripe and the back is done in a green moire. 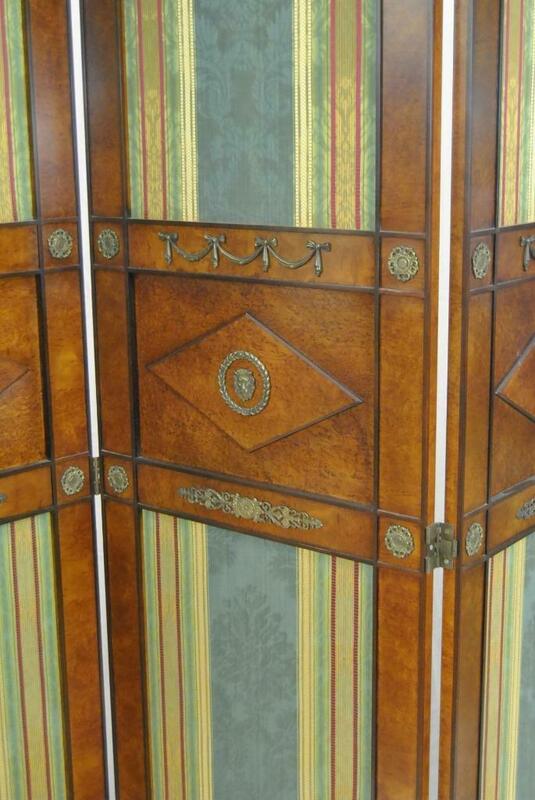 Very good condition with minimal wear as photoed. 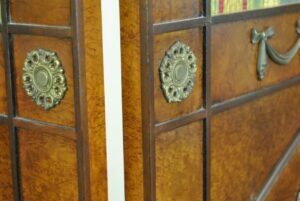 Please give us a call at (419) 473-3373 with any questions or for assistance in acquiring a shipping quote to your location.